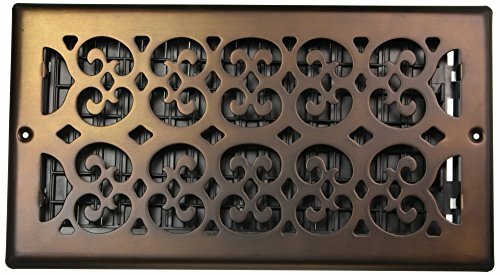 Decor Grates wall registers are built with the finest materials. Each and every register goes through a quality assurance process to ensure your satisfaction. Our classic designs will enhance any rooms decor and give you years of trouble free operation. Our family owned company takes great pride in making sure you are totally satisfied with your purchase. If you have any questions about this product by Decor Grates, contact us by completing and submitting the form below. If you are looking for a specif part number, please include it with your message. AFB Bronze MERV 6 14x25x2 Pleated AC Furnace Air Filter. Pack of 12 Filters. 100% produced in the USA.